We are officially halfway through January, which for some will mean making it halfway through going alcohol free for the month. Ideal if you’ve overindulged during the festive period, dry January is a great way to make healthy changes for the year ahead, but is it tricky and how can you make things easier for yourself? For many of us it is the go-to when it comes to making social plans or arranging something to do on the weekend. A walk in the countryside often ends with a pub visit, meeting up with friends means beers or cocktails, and going out for dinner often results in wine. It’s so easy to pick a social event that includes drinking, and before you know it you’re in the pub four nights a week. While it’s important to keep socialising, try being a little more creative with your social plans. Go bowling, go to the cinema, take a long walk as a group, go to museums and exhibitions, there are loads of things you can do with your friends and family that doesn’t have to surround drinking. Exercise is obviously going to support the work you’re doing for your health in January, but it also works as a great distraction too. In addition, when you’re putting a lot of energy into exercising and being healthy, you’re much less likely to fall off the bandwagon. If you’re the type of person that feels the pull of a glass of wine or beer in the evening, try planning a workout in the evening instead to distract yourself. Go for a run, go to the gym or even do a home workout to keep your mind and your body busy when you might usually be drinking. While drinking isn’t strictly a hobby, more often than not we choose to spend our spare time relaxing at home or popping to the pub. Drinking almost becomes a hobby, but this is dangerous territory. While you’re carrying out dry January, this is a great time to try new things, spark your imagination and keep your mind busy. Write down a list of things you’ve always wanted to try, or if you’re not sure start doing a little research and write down a few things that take your fancy. We are all different and different hobbies work for all sorts of people, so it can take time to find something that sticks. Why not experiment with hobbies this year and try a few different things? Hobbies can be anything from life drawing and crafting, to football, yoga, swimming or surfing. 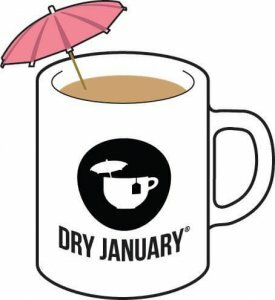 If you’re starting to feel the struggle of getting through dry January, try these tips to nail it and make it to the end. Dry January is a great opportunity to develop new habits, such as drinking less, exercising more and taking up new hobbies and passions.